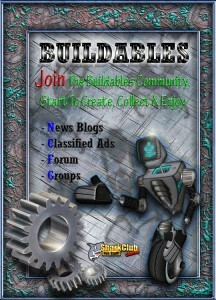 Register on www.mybuildables.com & grab a free Portal from Buildables HQ vendors. Make sure to rez your FREE portal somewhere that will allow the amount of bots you want to bring back. Once registered you will be able to return lost bots yourself without having to wait for the Buildables Team. Crated Bots that are lost in inventory or lost due to a SL issue CANNOT be restored. Make sure when you register that you use your SL name exactly as it is written and not your display name so for instance Aries Westland not Bill Dabbles or the database will not know who you are and you will not be able to manage your bots. Once on the website find the My Bots tab and click it, there you will find a list of bots that are missing, if any and ones lost in a pod, if any and finally, your total bots. Find the bots you want to return and tick the check-box to the left of it then click the circle left of either secondlife or emilac, depending upon where you want to send the bot/s, once you’ve done that click the Return Bots button and watch your portal inworld as they appear from it. To confirm the operation was successful the web-page will show you a list of what was returned and any errors, if any. Inscrivez-vous sur www.mybuildables.com et prenez un portail gratuit au magasin général BUILDABLES HQ. Assurez-vous de rez votre portail gratuit dans un endroit avec assez de prims disponibles pour le nombre de robots que vous souhaitez ramener. Une fois enregistré, vous serez capable de récupérer les robots perdus sans l’aide de l’équipe Buildables. Assurez-vous lorsque vous vous inscrivez que vous utilisez votre nom exact de connexion SL comme il est écrit et non votre nom d’affichage de sorte que par exemple Aries Westland pas Bill Dabbles ou la base de données ne saura pas qui vous êtes et vous ne serez pas en mesure de gérer vos robots. 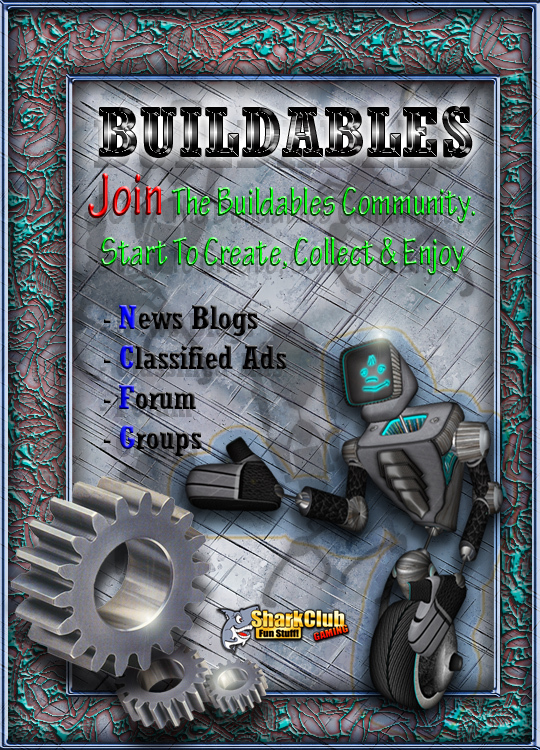 Une fois sur le site web de mybuildables trouver l’onglet My Bots et cliquez dessus, vous y trouverez une liste des robots qui manquent le cas échéant et ceux perdus dans le portail si c’est le cas, et enfin, le nombre de vos robots au total. Trouvez les robots que vous souhaitez retourner et cochez la case à gauche de celui-ci puis choisissez en cochant Secondlife où Emilac suivant l’endroit où vous voulez envoyer le/s robot /s, une fois que vous avez suivi ces étapes cliquez sur le bouton RETURN et regardez votre portail inworld, vous verrez apparaitre les robots. Pour confirmer que l’opération a réussi, la page internet vous montrera une liste des robots qui sont revenus et toute erreur, le cas échéant. ALL BOTS ARE 17 PRIMS…PLEASE MAKE SURE YOU HAVE ENOUGH PRIMS ON YOUR LAND FOR BUILDING OF BOTS! IF THE BOTS ARE RETURNED BECAUSE YOU RUN OUT OF PRIMS…THE BOTS ARE LOST! 1: Rez a “building pod”= A starter building pod starts with 10 possible builds…..but the starter pods will rez your first 2 bots taking that count now down to 8 builds left. When a building pod hits 0 builds left, you will need a new pod system to build anymore bots. Your bots will then immediately get to work and start mining! Do Not move the pod after rezzing until the starter bots have been built and start mining. 1: Level (this will be 1/2 or “1 of 2” to start. The higher levels can be obtained by building and building helps get new and different bots. 2: Power (Bots lose power throughout the day just as in real life but will go get power as needed from a power source) Your bot will die in about 16-17 hours if he does NOT have sufficient Power! Make sure you have enough power! 3: Oil, Your bot will die in about 16-17 hours if he does NOT have sufficient Oil! Make sure you have enough OIL! 4: XP or “experience points” (XP is obtained by getting oil, power, and BUILDING) When XP hits 100%, it levels your bot up! 8: Gold: (These are the materials bots mine for and are needed to have the ability to build new bots. When at least ONE or more material has reached 100% and you have a similar bot at 100% of one or more materials, you can now send those 2 similar bots to a building pod to build a new bot! Some of the materials are obviously harder to get like silver and gold, therefor making them more valuable when building. GEMS: When a bot hits 100% Gold it has the ability to rez a Gem, once it’s rezzed this bot will not rez another untill it’s it’s been used to build. The bot will need to be left to roam and collect materials as normal and when it reaches 100% Gold, it will produce another Gem. Gems come in 6 colours (Red, Yellow, Green, Blue, Pink & White) and are used to increase your buildscore per build on a Gem Mega Pod System. Each Gem placed on the pod system is worth 200 points in addition to the total buildscore for that build for the life of the pod. 6 Gems on the pod system will add 2000 points to your total Buildscore per build untill the pod system is depleted at 25 builds. Gems can be traded so the possibility for yet another market opens up to you. The higher level/XP a bot is, and the more materials he has mined…the better chance you have for getting rare and new level bots. All levels will have new bots added, meaning….even an old “2/2” bot has the ability to get new rares and variants and even NEW bots! Wooohoo!!! Your land parcel has a UUID (call it a fingerprint) that the bot rezzed knows as its “Home”. If you join land parcels, you are now changing that parcels UUID and the bots known “home’ position. If you plan on joining land parcels, you WILL need to crate your bots, and then re-rez them when the parcel is joined! 2: POWER= Simply rez a power source ON THE SAME PARCEL near (or within 100 meters max) of your bots so the bots can get power when needed. There will be different sizes of power. Example: A small battery might keep a bot alive for a week. A larger power source can keep the same bot alive for much longer. The more bots you have, obviously the more power you will need. If a bot gets to “0” power….he will go OFFLINE basically deactivating your bot and he will then no longer mine, or have the ability to build! Make sure you have plenty of power for your bots! 3: OIL= Simply rez an OIL source ON THE SAME PARCEL near your bots so they can get oil as needed. At 75% OIL he will then start to look for an oil source. If there are none available, he will continue to look further and if he reaches “0”, he will go OFFLINE. Make sure you have enough oil for your bots so they can mine for you! IMPORTANT!!! If your Power or Oil is not on the same parcel as your bots, they will NOT be able to get power/oil! MEDIBOTS= A Medibot is used to fix bots that have died due to lack of Power or oil. Medibots can ONLY be built by you the builders! Medibots are a ONE TIME ONLY USE meaning they can only fix 1 dead bot. Touch the dead bot and click “REPAIR”, the “Medibot” will go to this dead bot, and repair him with 50% oil and 50% power. He will then disappear. 1: Once you have 2 similar bots (such as a Rolly + Rolly Chrome) simply touch the RED Area of “POD 1” in the center of the pod, you will be prompted to then touch a bot to send to the pod, then touch the bot to send to the pod, and a blue dialog menu will pop up with an option to “GO POD”. Click “GO POD” and the bot will go to “POD 1”. Repeat this for the similar bot to send to “POD 2”. Once both bots have gotten to the building pods……BAM….. on “POD 3”, the 2 bots will BUILD you a new bot! The building process takes about 3 minutes. 1: There are 3 major kinds of bots. A Mega size, Regular size and a Mini. Any 2 similar bots can build a “MINI” BUT……..only “MINIS” can build with minis! EXAMPLE: “Rolly+Rolly Mini” would NOT be allowed. “Rolly Mini Fire+Rolly Mini Chrome” WOULD be allowed. This creates an instant reason for a secondary market, helping you…the users, trade, buy and sell bots for building! 2: When you send 2 bots to a pod to build….as stated before they will need AT LAST 100% of 1 material or more. After building the new bot, they will now GAIN 25% XP points! But they will now lose ALL the materials gathered. They will also lose 25% OIL, as well as 25% Power needed for the building process. They will then go looking for power & oil! 3: When a bots level has maxed out, EXAMPLE: 4/4, that is the highest level he can go….BUT he can continue building when he gets more materials! 4: If you made a mistake and sent 2 bots that are not similar to the pods…the pods with then eject those 2 bots from the pods with a message of “these bots do not match, ejecting”. BUILDING HINTS: The bots will all be limited to certain quantities, but new lower/medium/higher level bots will also be added randomly into the database creating NEW bots in all levels! This will generate reasons for users to keep lower level bots on hand to buy/trade/sell. 1: A bot MUST be crated to sell/put into inventory. Simply rez a “crate”, touch it and you will be asked to then touch a bot to send to the crate. NOW touch the bot…..in the blue dialog menu click MORE, then “GO CRATE”… The bot will then go to the crate….de-rez himself, and he will put himself into the crate! The bots stats will then be shown above the crate for all to see! You can now take the “crate” into your inventory, or set for sale. When a crate is in your inventory, it actually provides the name of the type of bot in the crate for easy access to organizing your inventory. Your bot will NOT lose power or OIL in your inventory! Rez the crate, then touch the crate to get the blue dialog menu. Click “YES OPEN” to rez your bot. !!!WARNING!!! DO NOT TAKE CONTENTS OF CRATE INTO YOUR INVENTORY!!!! Did I mention the bots can TALK TO YOU!?!? 😉 This next section explains how to do that as well as the other current menu options for your bots. !!!! !NEW NEW NEW NEW!!!!! !……BOT VERSION ID# can be found at the top of the blue dialog menu when clicking any bot! Always check for the latest version of the system by getting a FREE update crate from HQ. 2: SOUND=This allows you the ability to turn the random bots sounds on or off. 3: HOVER TEXT= This turns your bots hover text on or off. 4: RECYCLE= This sends your bot to the OPTIONAL recycling machine accessory. This feature will basically then kill your bot, but, you can receive random products/gifts/prizes……that you can sell! This recycler can be worth its weight in gold down the road when ya get free oil and power from it for recycling bots! 5: ROAM DISTANCE= This adjusts the distance a bot will “roam” to mine for materials. EXAMPLE: Setting the distance to “5 meters” will allow your bot to roam within a 5 meter square from the “home position” setting. 6: RENAME= This feature allows you to personalize your bot by naming him! Simply click “rename’ then type the desired name into local chat and your bot will now have the personalized name of your choosing! This personalized “name” will NOT appear in the hover text above a crate. 7: SET HOME= This feature sets your bots “home position”. Simply place YOUR AVATAR where you want the bots home position set….THEN click “Set home”. Your bot will then know that is its new home position, and will go to that area and start mining within its allowed roam distance. 8: POWER= This can MANUALLY send a bot to a power source for more power. Sending a bot to your power source continually will NOT level the “XP” up. The “XP” will go up 1% after each 25% points of power obtained. 9: OIL= This can MANUALLY send a bot to an OIL source for more OIL. Sending a bot to your OIL source continually will NOT level the “XP” up. The “XP” will go up 1% after each 25% points of power obtained. 10: RETIRE= This option will “retire” a bot making him unavailable to mine or build any longer and will no longer cost you Oil or POWER. He can then be “stopped” so he doesn’t move, and you can now proudly display your favorite collectible BUILDABLE! Retired Bots CAN be sold through a crate and will clearly be shown for the buyer to see that he is “retired”. 11. GO POD= This option will only be available after clicking a Building pod AND if the bot is ready to build. This option will then send your bot to the pod for building. 12. GO CRATE= This option will only be available after an empty packing “crate” has been touched. This option will then send your bot to the packing crate. Please be patient and let the bot finish his movements and then he will go to the crate ask told. Do NOT pick up a crate before the bots stats have become available and visible. 1: Sharkclub creators are not in any way liable for any loss due to purchase of an un-official BUILDABLES product. 2: We are not liable in any way for any loss due to a secondary market change in value due to bot quantities/”values”. 3: We will not participate against our BUILDABLES users in any secondary market therefor will have no affect on said secondary market. 4: We are not liable for a lost item due to improper user actions!! 5: We are not liable for loss of bots/products due to return by a land manager or Second Life “Linden”. Please make sure you rent land from a trusted renter! 6: We place no value on bots, therefor hold no liability in secondary market sales of bots/products of the BUILDABLES system. 7: We reserve the right to terminate the BUILDABLES system and products at any time. 8: We reserve the right to delete or terminate any users bot at will if we find that user has knowingly tried to abuse the system or cheat it in any way. 9: In certain circumstances, we may look at a situation and determine if there is sufficient cause for a non working product, we will replace said product after a thorough investigation finds we were at fault. 10: We do understand real life takes precedence to “Second Life” at ALL times. In certain situations, after thorough investigation, we may or may not replace lost/broken items due to certain real life situations. 11: Not supplying your bots with enough power or oil to keep them alive is in no way the fault of Sharkclub creators therefor we hold no liability in loss of product due to user error. We WILL NOT REPLACE BOTS THAT HAVE DIED DUE TO LACK OF POWER OR OIL!! Loss of bots due to land manager return is in no way the fault of the “BUILDABLES” system creators. We do understand this may happen from time to time. But please realize this is in no way due to a faulty product. Our time is just as valuable as yours and it does take time to replace bots lost in this manner! Please use the My Bots tab of the website to restore your bots via a portal system, Instructional video on the website. We do hugely appreciate your support of this and all our products and ask that you PLEASE be respectful to the “BUILDABLES” users and community!